The recent warm up has taken its toll. Both Torch lake and East Grand Traverse bay suffered and have not completely healed. Several hazards were discovered on both so neither are deemed safe to race. Although both have been sailed over the last 3-4 days with no hazards discovered. UPDATE: Feb 16: Please contact Julie Richards for registration on the ice during the day Friday. Friday evening arrivals can register at the Sleep Inn beginning at 5:00 pm. Saturday arrivals please register prior to 9:00 am on the ice. UPDATE #2: Feb 16: Start times for Saturday will be 11:00 am, not 10:00 am as stated in the Sailing Instructions. Seven races per fleet – 3 race minimum in the Gold Fleet will constitute the regatta. Fleets – Gold and Silver Volunteer split for fleets if needed. Discard race after 5 races sailed. 7. Prizes To be awarded at the launch after the conclusion of racing. 1. 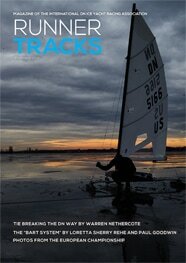 RULES 1) The 2018 Central Lakes Regional Championship and races will be governed by; the Racing Rules of the National Iceboat Authority (NIA), and the NIA Rule Interpretations; the Constitution, Specifications, By-Laws, and Racing Rules of the IDNIYRA, and the Notice of Race, except as modified by these sailing instructions. 2) Any further modifications to NIA or IDNIYRA prescriptions or these Sailing Instructions will be announced at a Skippers Meeting or by Official Notice posted on the Official Notice Board located at the launch site 3) Competitor’s failure to comply with the IDNIYRA requirements to display a sail number on the hull will not be subject to disqualification solely on the basis of non-compliance with that specification. 2. ENTRIES AND FLEET ASSIGNMENTS 1) Registration, proof of insurance and entry fee payment is required to compete. 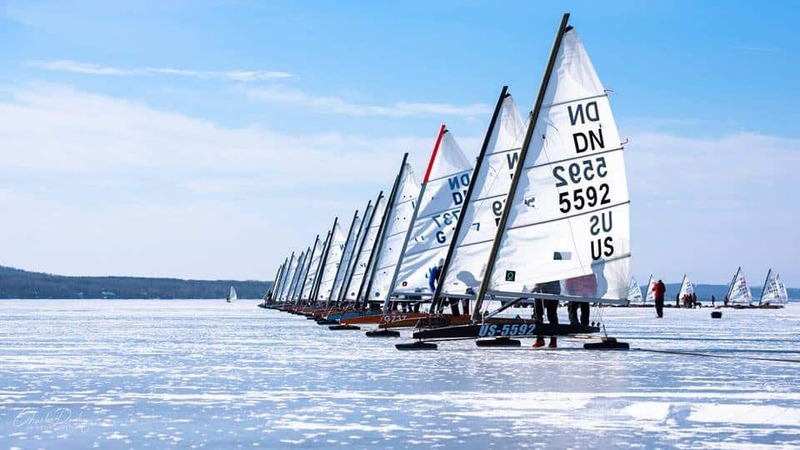 2) Registration will take place Saturday, on the ice, at the launch site 3) The person whose name is on the entry shall be deemed skipper and must be a current IDNIYRA Member and use sails with the skipper’s assigned number or a discreet number unique to that boat. 4) Fleets will be split based on the volunteer basis with each skipper identifying the fleet they will race in on the entry form. 5) The Race Committee Chairman reserves the right to move boats between fleets based on balancing each fleets make-up and size. The fleet assignments and first race starting positions will be posted on the Official Notice Board.